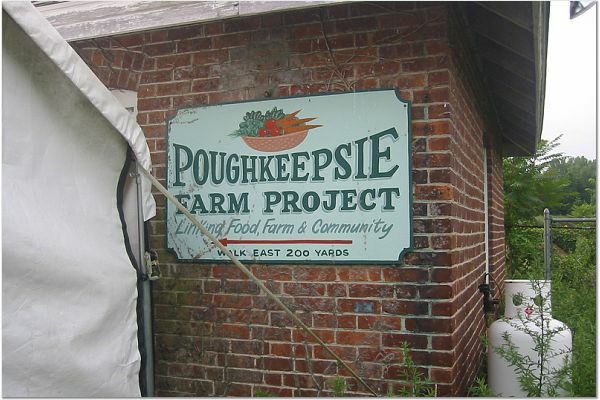 Last Saturday, I visited the Poughkeepsie Farm Project at Vassar farm with members of the Nutrition and Women Chefs and Restaurateurs clubs from the Culinary Institute of America. I admit, I couldn’t bear to wake up at 6am on a Saturday morning, following a long week of 5:30am daily alarms, so I came for the 2nd round of volunteering at 10 am. My assignment was to plant the lettuce seedlings, but as I planted a row of about 50 feet, the weather interrupted. The thunder and rain had the farm workers gathering all the volunteers under cover. 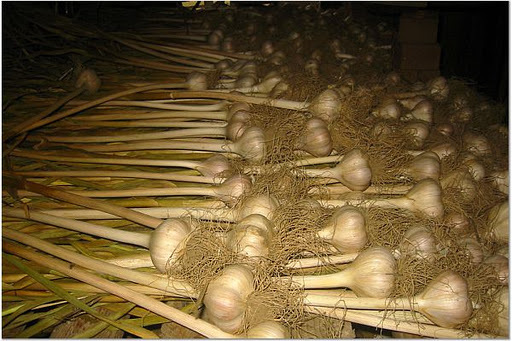 The task at hand then became to clip/trim/sort garlic that has been pulled several weeks ago and was drying in a shack. Funny enough, the two varieties of garlic they had were the Red Russian and German Hearty (or something along these lines). While clipping the garlic, the farmers interrupted us for a snack of watermelon, melon, and fresh bread. Yum! Then it was time to get back to work. An hour or so later, we had pounds and pounds of garlic sorted and ready for its final drying before it would be distributed to the farm members. It was pretty incredible to be so close to the produce, seeing rows of lettuces, corn, tomatoes, squashes, etc. growing right there in the dirt. Members of the community pay an annual fee and visit the farm weekly to pick up fresh, seasonal produce June-November. 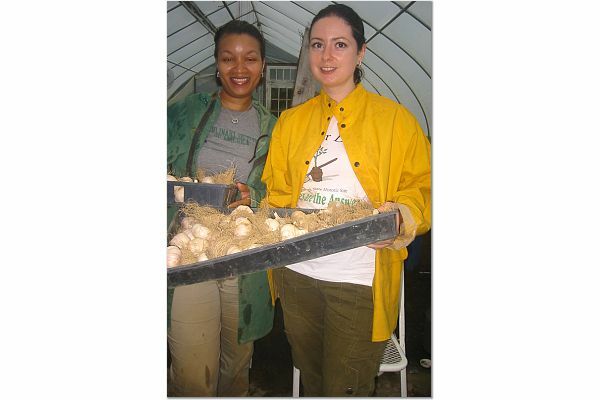 In addition, they are asked to volunteer 12 hours of farm work, which is a great way of establishing a closer connection to food. The story of our volunteering was published in the recent President’s Bulletin (the president of the CIA of course). Nice to see you posting again! I thought we’d lost you. We love U-pick farms. We’ve picked strawberries, raspberries, blackberries, apples, cherries, asparagus, and more.